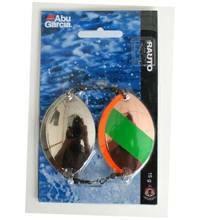 Rauto Spoon the ultimate saltwater lure! Made with years of tradition, love, care and attention to detail, these spoons are the best flattie lures that have ever been produced. Their shape and eye-catching colours make them deadly!